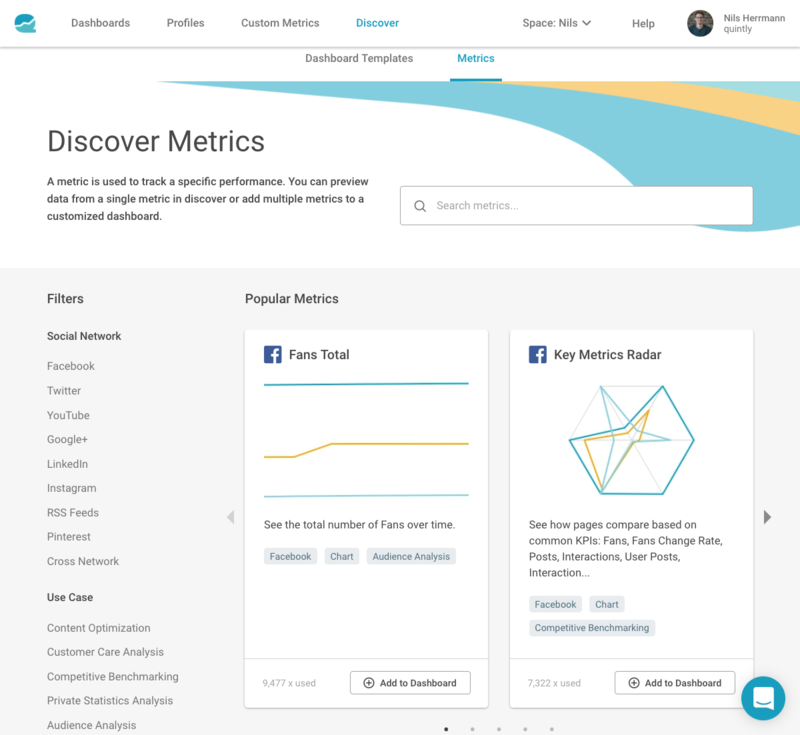 Interested in social media analytics features? Check out our new website to learn all the latest on how quintly can serve your business. Before working with our tool, many of our clients used to do their social media KPI tracking manually. Back then, this meant rather excruciating work – looking at and evaluating lots of different numbers and figures of all the social networks and typing them into Excel. After all this work, you had to define and calculate your KPIs and present them nicely in various charts. By using quintly, you can move forward and get up and running without any hassle in less than two minutes. Just define which social media profiles you want to track and you are good to go. 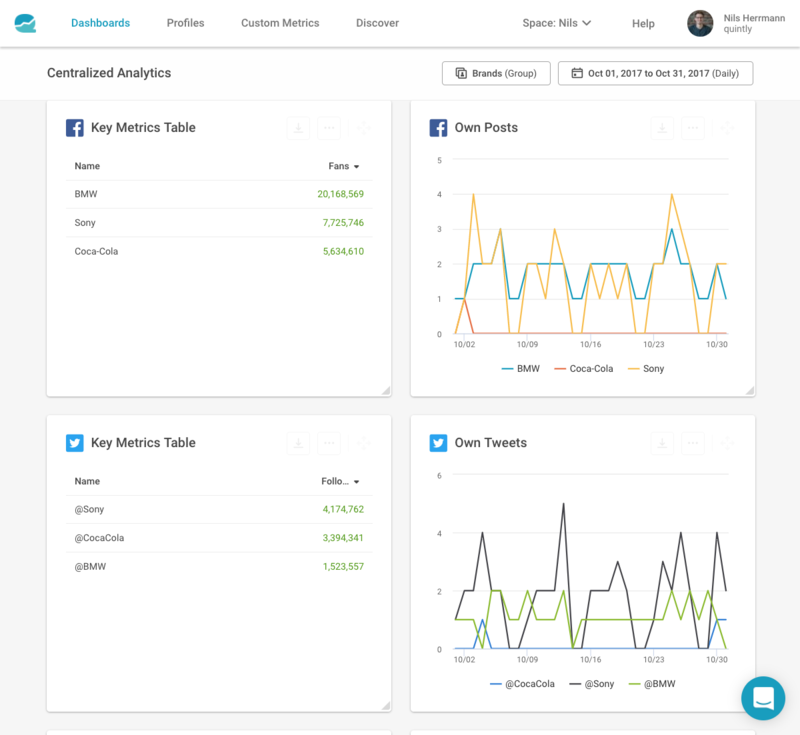 Centralize all your social media analytics data in one tool instead of using a bunch of different tools or doing it manually. Tracking with our tool is so easy and reliable because our highly optimized import algorithms ensure a steady and secure data flow from social networks to our database. This all happens on top of a scalable, cloud-based platform using Amazon AWS to deliver great performance and availability. Our import servers are running 24/7 to get all the data we need to present to you including all numbers of all social networks that you choose. Another good thing: you will probably still save a lot of time and money by using our tool, as it costs only a fraction of what you would be or have been paying for the manual process of extracting and evaluating data. After all, quintly can do a day’s work within 10 seconds. Discover the potential of your business on social.